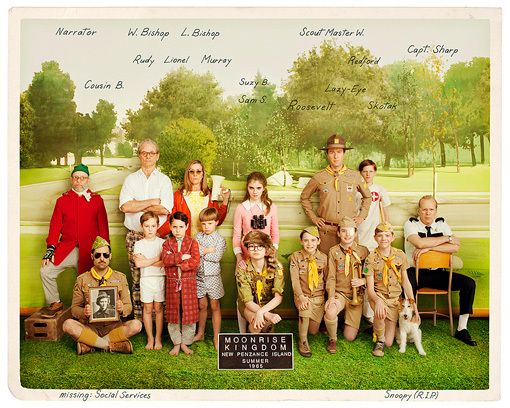 In addition to my *Quick Tips Series* debut, Wes Anderson's new film/masterpiece opens in theaters today! I can't wait to see Moonrise Kingdom and might need to change my evening plans of watching bad tv with good friends for 2 tickets to see my favorite director do it again. To tide us over, a possibly drunk Bill Murray gives us a sneak peek and little tour of the set below, and you can take a gander at the tralier here for the highly-anticipated film.